You'll find one-level living in this traditional brick ranch on 4 acres with detached 2 car garage and workshop. Mature trees compliment the landscaping with an old apple orchard, grapevines and blueberry bushes. Set among the trees but with plenty of room for a large garden in the pasture below the house. 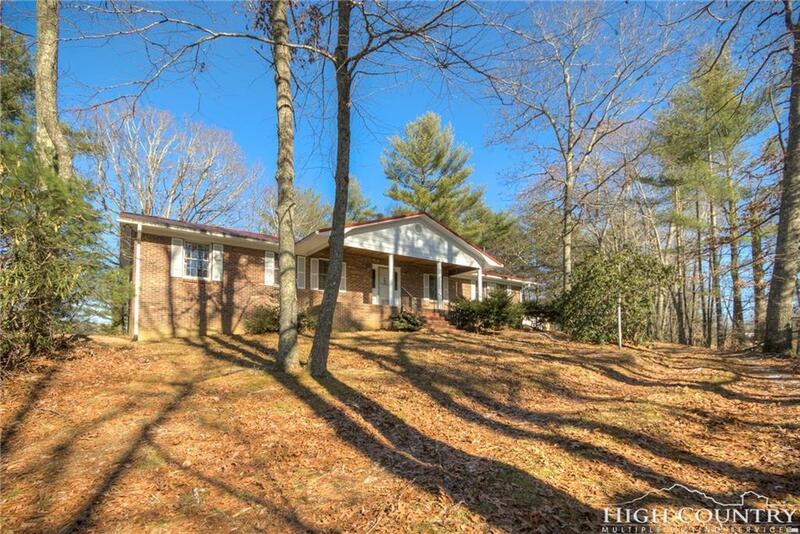 This corner lot has a nice mix of flat, rolling, wooded and open property. Large country kitchen with plenty of cabinets, adjacent mudroom and formal dining room. The Living room is massive and the stone fireplace is perfect for curling up by the fire on a cold winters night. 2 guest rooms share a spacious bath and the master suite has a walk-in closet. The owner recently had new laminate flooring installed in all 3 bedrooms. Sit on the front covered front porch or grill on the back deck. This low-maintenance home just needs some fresh interior paint and minor updates and will be move-in ready. Priced to sell! Vacant and easy to show. Be sure to check out the full walk-through video tour.